I read an article in the newspaper recently about cows.It caught my eye because cows are, of course, very sacred in India. The Veda's have always observed and admired and learned from them, and now that we have satellite imaging, modern scientists are taking a closer look at cows too. "European scientists who studied satellite images of cows around the world have discovered that these animals tend to align themselves with Earth's north-south magnetic fields while they graze or rest. Farmers have found that cattle stand perpendicular to the sun to heat up their bodies on cold, sunny days, or stand parallel to the wind during winter days with particularly strong winds, the scientists noted." It makes perfect sense of course, and matches wonderfully with Vedic Architectural concepts too. 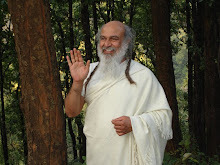 According to Sthapatya-Veda we ought to align our beds and slope our home's roof and plant trees in particular places. It's all based on factors such as the rotation of the earth, gravitational pull, wind and magnetic fields, which amazingly they wrote about thousands of years ago. I wonder if humans would naturally align ourselves with the earths natural forces if there wasn't so much interference. We can learn a lot just from observing nature. NB-I just found out that cow is a gender specific term referring to a female of the species. We use the term cow more generally because the term cattle, which is plural, has no singular form, and refers more to livestock then bovines in general. So really I should say 'cows and bulls' align themselves with the earth. What a funny thing words are! I agree, and we humans think we are the intelligent ones! Thanks Lothi, glad you enjoy! It's very difficult to let go. We always like to think we have control over everything, but it's all in our heads. I suppose we could learn a lot from our intuition if we just stopped thinking about things for a moment!